With spring vacations underway, there are some destinations that are huge tourist attractions. Tourists seek out different destinations whether they are interested in touring historic sites, relaxing on the beach or traveling international. In this blog post we will explore top 8 spring break destinations according to sites such as US News and Traveller. One of the most popular destinations for young adults is of course Mexico. With white sand beaches, budget friendly accommodations and great night life, it is the perfect destination for those in their 20s. With cherry blossoms and mild weather, Tokyo in spring is a site to see. Be sure to try the sushi and ramen in that Japan is famous for. Taking a walk through ancient temples and exploring what the city has to offer is an amazing way to spend spring. For those who wish to spend their spring break at museums, national monuments and other historical sites, Washington D.C. is perfect. 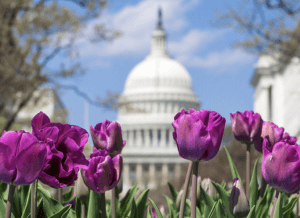 Spring in D.C. could include taking a trip to the capital surrounded by blooming trees, or exploring the Smithsonian without overwhelming crowds. Spring weather offers low humidity and warm temperatures so most of the city can be explored on foot. In spring, the otherwise nearly year round fog in London lifts. London is known for sites such as Big Ben, Shakespeare and the royal family. The city offers a wide variety of activities for tourists. Head to the Buckingham Palace and witness the change of the guard. Interested in exploring a state park wilderness? Sedona in spring is the perfect place with its blooming hills and red backdrop. Visiting Arizona in spring will allow you to avoid the summer heat so that you can fully enjoy the park. Some of the popular spots in Sedona are Cathedral Rock, Bell Rock and the trails of Oak Creek Canyon. Spring in Florida is perfect for those who do not want to deal with hurricane season or the stifling heat. Navarres crystal-blue waters is a beautiful spot for beachgoers and nature-lovers. Hawaii is the perfect destinations for families and couples, with an plenty of activities to offer. Spring allows you to miss the summer crowds that will make it difficult to enjoy hikes and beach trips with tourists crowded around you. Honolulu is a great place to stay with destinations such as North Shore and Kailua only a short distance. Head to wine country this spring to experience the gorgeous views and fine wines. This is the perfect destination for couples who wish to visit wineries or experience great food. The town caters to the adventurous through a ride in a hot air balloon and a perfect view of vineyards. wow such a beautiful post .